These chocolate bunny silhouettes will make a fun Easter treat. There is a vanilla wafer hidden inside, so I think if you put a little marshmallow cream in between a couple of them you could make a pretty fabulous silhouette bunny cookie sandwich. 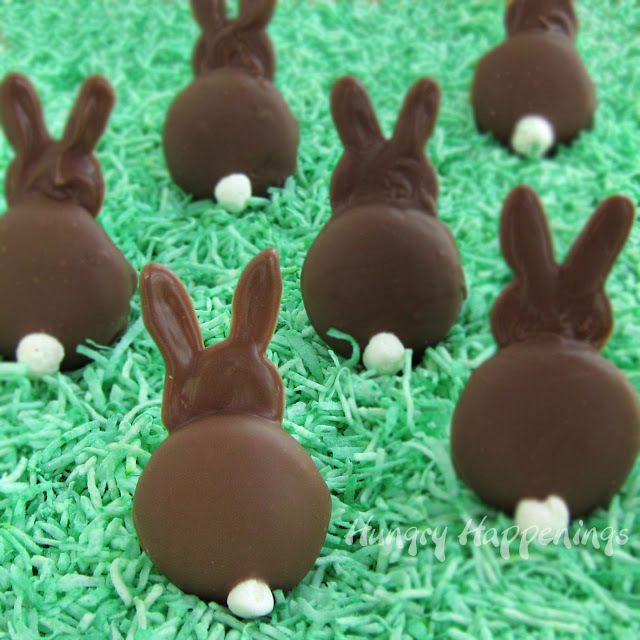 You can see how to make chocolate bunny silhouette cookies over at Hungry Happenings. Thanks for featuring my bunnies!